House on three levels, semi buried ground garden that stays cool in the summer, a ground floor, overlooking the church square and bedrooms and bathrooms attic. On the heights of a village in the Champagne appellation, the Clos de la Tourelle offers the calm and authenticity of an exceptional site, at the foot of a 12th century Romanesque church and a medieval turret. Come and discover the charms of Reims and the Champagne vineyards, its history and its traditions by staying in these vineyard and discovery labeled gîtes. Passionate winegrowers, we also offer a discovery tour of the vineyard with tasting, by reservation. Hiking and cycling circuits, between woods, pastures and vineyards, are accessible from the cottage. Two semi-detached houses, labeled seven (photos 6 to 14) and four (photos 16 to 21) beds and each two bathrooms are at your disposal. You will enjoy a garden of 700 square meters with flowers and trees, maintained without chemicals. An organic orchard (rhubarb, cherries, plums, pears, hazelnuts) is at your disposal. 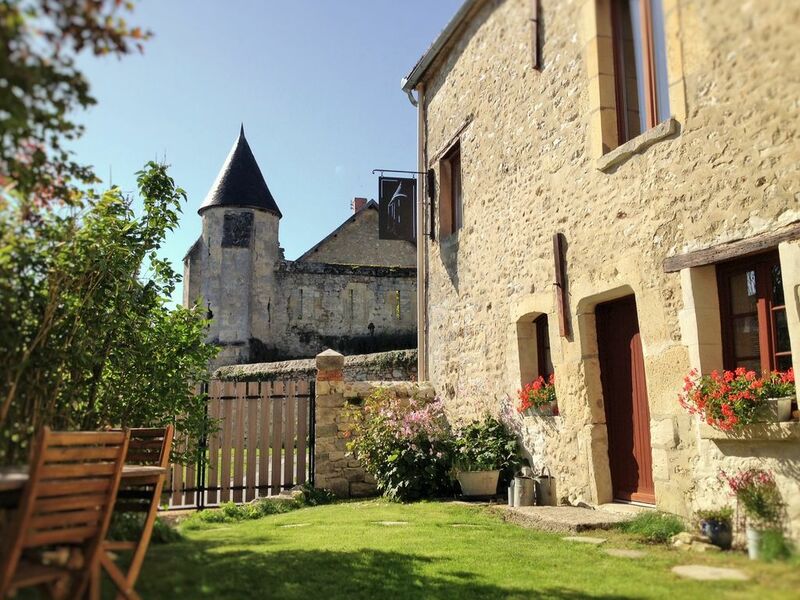 Arcis le Ponsart is a beautiful unspoilt village located west of Reims. Come discover its beautiful stone houses, four wash houses and vineyards. The cottage, at the foot of a Romanesque church and a turret, is located less than half an hour from Reims city of coronations, Epernay champagne capital and Laon historic city. At half an hour also, center Aisne park accessible to the day and the sites of memories.